Openers Big River kicked off with a blues number, redolent of Bo Diddley's 'I'm A Man', made as Hard Rock as it could be using acoustic guitars. Apparently they usually only use electric guitars, but converted their songs for this acoustic-only evening. They effect was Americana with some extremely skilful songwriting, including 'Who Do You Want Me To Be' with great use of alliteration, and 'You Are My Sun' used as a homophone to mean "son" in the context of a dearly departed father. Clearly a quality act, I would like to see them do their full electric show. 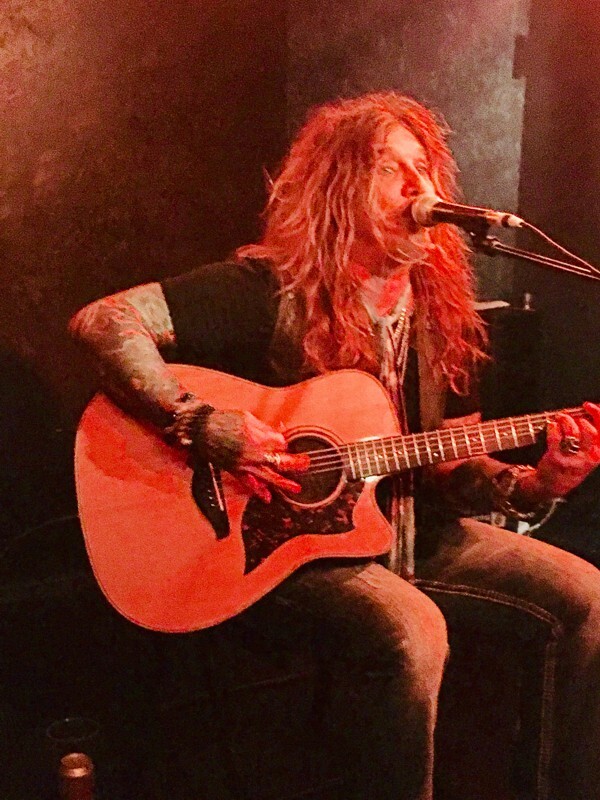 Being, of course, John Corabi of the Dead Daisies, performing songs acoustically, which truly showcased the rich tone of his unmistakeable voice. It was also a chance to hear wonderful acoustic versions of great songs. 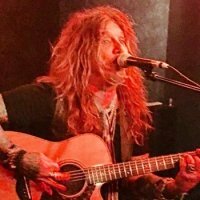 He said he was winging it and open to suggestions without a set list, but made sure to cover excellent songs from his solo career, The Scream, Union, Mötley Crüe and the Dead Daisies, as well as a few covers special to him which revealed his love for British Rock 'n' Roll. Starting off with solo track 'Love, I Don't Need it Anymore' underlined that this was a personal gig for him, and this theme was continued by stories from his life to accompany the songs, such as the one about a friend whose family was devastated by a spree shooter, 'If I Never Get To Say Goodbye'. This enhanced the experience to be about the whole man in the round, making this more than just a musical experience. I'm certainly not going to tell all his stories, you have to go to a gig for that, but trust me you won't be disappointed. Suffice to say, you'll get life lessons for free, ignore at your peril. After the gig John came out to talk to the fans immediately, posing for pictures and genuinely hanging out with people. Full marks for making this a special experience for fans and unparalleled value for money. The Daisies are set for mega stardom so grab this experience while you can.